[COMPLETED] She was the most beautiful creature he had ever seen. She was ethereal and mystical and utterly impossible. Her mere existence challenged everything that he knew about the world. His mind screamed that she couldn't be real, yet here she was. Chapter 22 - Liam - How Do You Know? [COMPLETED] The second book in the Ballad of the Seer Series finds Lily Bishop once again dealing with strange dreams that seem to spell out danger lurking around the small town of Ashland, Connecticut. Lily has to try to figure out what's going on and what these dreams could mean, all the while trying to dodge the newly minted queen of mean, who seems to have it out for her, for no apparent reason and attempting to maintain her schoolwork. Whoever said that high school was easy was not a teenage girl or a witch. Click on the tag balladoftheseer for more from this series. [COMPLETED] From the outside Lily Bishop's life may look like that of a perfectly average teenage girl, but Lily's family has a secret. When Lily's life is turned upside down by the arrival of a mysterious new boy, she soon discovers that all is not as it seems - with him or with her. For reasons she can't explain or understand she feels strangely drawn to him. But something from his past - which he never talks about - is about to catch up to him and it will affect Lily and everyone she loves in irrevocable ways. The ocean was an unforgiving force that took as it pleased and gave little back. Astrid knew that to be a fact. After the tragedy of her mother's death, she watched her father's sanity collapse as he was driven to prove that it was more than just a boating accident. Unlike him, she stayed well away from the water's edge and out of its grasp, immersed in the sorrow of her loss. But what little the ocean did give back, a man of myth with the tail of a fish, could reveal more about the secrets to a harrowing conspiracy brewing below the surface. [COMPLETED] After completing her task of going to ground to bring her sister back home, a mermaid - Amaya - is drawn back to the small island of Linda Cove to find a young woman with whom she had a brief encounter during her time there. She yearns to find out if the feelings she experienced for this human were real, or just a passing infatuation borne out of intrigue for an unfamiliar creature. 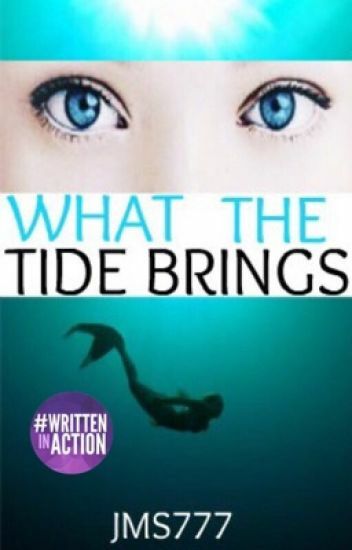 This is a companion story to What the Tide Brings, in which Amaya's sister - Kaelin - is rescued by a human boy and harbored by his unknowing family, but Kaelin has a secret that could bring danger to her newfound friend. I suggest reading What the Tide Brings first for continuity's sake, but this story can be read on its own. It's pretty much self contained, except for a few references to characters and events from What the Tide Brings. A Ballad of the Seer story. During summer vacation, Dianna Blake travels to Indiana to spend time with her boyfriend as he prepares for college. Once there, Dianna finds herself in the midst of a mystery that only she knows exists, due to her ability to see through magic. Now, it is up to her to solve it. Can she do it on her own, without the help of her powerful best friend? [COMPLETED] Lily Bishop is in trouble in Book Three of the Ballad of the Seer series. She is on the run with her boyfriend and soulmate, Duncan, attempting to clear her name of the charges that have been brought against her by the Council of Witches. Meanwhile, Lily's friends and family are left behind to wait and wonder where in the world she could be, all the while, dealing with an influx of witches, searching for Lily. And they won't stop until she is found. With the rise of a new foe and the return of an old enemy, Lily will face her toughest challenges yet. Erase And Rewind Book One. ⭐️ Wattpad Featured and Best @Mystery Winner. ⭐️ Highest Rank #1 in Bipolar Disorder, #3 in Time Travel, #10 in SCIFI-Fantasy and #11 in SCIFI. Anaya, a disillusioned, thirty-five-year old doctor, has been looking after Gregory, a retired watchmaker and resident of an aged care facility. On her last visit, he gifts her his final creation, an exquisitely-crafted watch, knowing she will die tragically that very day. What he doesn't reveal is that it will turn back time. With one condition: she must choose the time and place to reset the clock, and redo just one thing in her life. Regrets, it seems, are easy to realise when you're dying, or trying to stop it from happening. But what if, after one small change, her life would become much worse than it was? Or if this one decision she'd made was meant to be, would changing her course lead her to be punished in other, unimaginable ways? When the alternative is die now, her choice makes itself. And so, Anaya's story begins with her last thought. Would she have done this if she had any option but the grave?